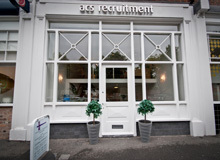 As an agency we will try our best to provide help and support, when it comes to your CV. Your CV is the first contact with the employer; this is your chance to market yourself to make the best possible impression! Keep it short: your CV should be 2-3 pages in length at most. •	Make it easy to read by choosing a clear typeface and font size. •	Use positive language and a confident tone. •	Put enough personal details on the first page for any potential employer to contact you easily. •	Arrange education and experience clearly starting with the most recent first. •	Keep dates down one side of the page: left or right. •	Highlight key skills relevant to the job, ensuring bullet points and headings contain reasonable detail and do not read simply as a checklist. •	Leave out any irrelevant or negative information. •	List all your professional memberships and relevant qualifications. •	Put relevant information demonstrating suitability for the post nearer the beginning. •	Ensure your career history explains your role, status and achievements, giving examples of interesting and relevant matters that demonstrate your skills. •	Ask someone else to read your CV to give you their impressions. 1. Lying – this can lead to instant dismissal if discovered. Past employers may give a different picture if contacted. 2. Jokes – not everyone will share your sense of humour. 3. Writing your whole life story. 4. Leaving unexplained gaps in your career history. It may seem like you are trying to hide something. State whether travelling, taking a career break etc. 5. Writing bland profile/objective sections. Statements such as ‘highly motivated team player’ can be better demonstrated through examples in the body of your CV. 6. Listing interests unless they are current. Think carefully about the impression they will give the reader. Only include those interests that demonstrate positive skills that the company may be looking for. You should put your contact details at the top of the first page. It’s not necessary to give the document a heading ie ‘Curriculum Vitae’. Instead, use your name as the heading. Use a larger type in bold. To save space, include your address on the line below your name. In this section, you should also include contact telephone numbers and an e-mail address, plus details of your profiles on professional networking websites, if you wish to. •	Organisation and location, giving a brief description about the business that allows the reader to quickly compare the size and complexity of organisations. •	Job title, with a description underneath of what you were employed to do that is no more than five lines long. Be selective and mention the role’s principal tasks and responsibilities. Include those things you enjoy and are good at, leaving out things you enjoy less, unless they are crucial parts of the job you are targeting. •	Achievements that set you apart from the competition. You should include what you did, the results of your actions, and whether you worked independently or as part of a team. Write achievements as short, punchy, bullet-point statements of fact. If you are newly qualified, you should also include details of the practice areas that you were involved in during your training contract, including skills you acquired and your achievements. If the practice where you did your training contract is similar to the one that you are applying to, then point this out. You should list any work experience that demonstrates attributes, qualities and skills. You do not need to provide salary details or reasons for leaving on your CV. You should give an impression of your familiarity with computers, listing any software packages you can use that would be relevant to the job and your level of proficiency. Examples are Microsoft Word or Excel. Employers are looking for evidence of team working and social skills outside work. You should list involvement in sporting teams and other organisations and highlight positions of responsibility you have held. Avoid giving irrelevant activities/interests that do not demonstrate any skills to the firm/organisation such as reading, or listening to music. You must get agreement from referees to act in this capacity before you submit your CV. You should not give the identities of your referees on the CV, and wait until an employer requests them. As an agency, we will call upon your referees to pass on this information to your potential employer. If you have already left your position, try an obtain your reference before you leave.